Cream Ale is a descendant of American lager and is sometimes mistaken for lager by less discerning drinkers. However, several things separate cream ale from the lager, and we’ll get into those in a moment. 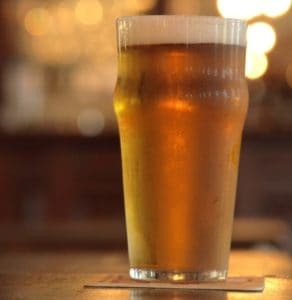 Cream ales were developed around the beginning of the 20th century in response to the rising popularity of various lager beers being brewed and marketed by recent German immigrants. Although right from the start, cream ale attracted attention for its light, no-nonsense character, it never had time to establish itself properly before it was mostly killed off by Prohibition. 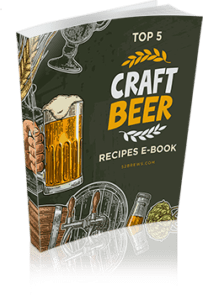 Thankfully, the craft beer movement has returned the spotlight to this delightful brew and below we’re going to highlight our cream ale all-grain recipe (sorry for you cream ale extract brewing fans) and take you through the brewing of your good beer. 1 What is a Cream Ale Beer? What is a Cream Ale Beer? 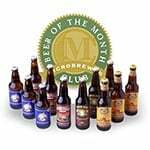 Aroma – The aroma emanating from cream ale is a typically delicate blend of malt and hops. These have herbal, spicy or even floral characteristics and it has a moderate sweet corn-type of quality. You can also watch Brew Dudes review this classic beer style so you’ll know what to expect before brewing your own. 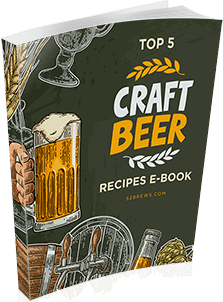 We also have our very own beer style guide here. Before we can get into the nuts and bolts of our award winning cream ale recipe, we need to bring together our ingredients. 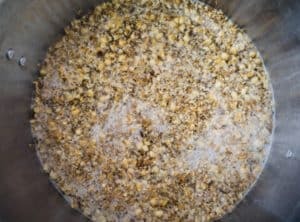 For this particular brew, we’re going to use a combination of Pilsner malt and 2-Row brewer’s along with Liberty Whole Hops, which has aromatic qualities similar to its German Hallertau counterpart. Nothing revolutionary here. 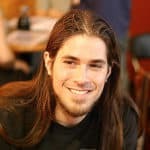 If you have a basic homebrew setup, you should be good to go. 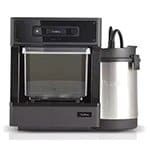 Brew pot – The brew pot is the center of the action. A 16-gallon brew pot is needed in this case. Burner – A fancy way of saying a heat source. It shouldn’t leave you waiting for hours to bring the contents of the pot to a boil. Needs to be robust. Siphon – If you’re a glutton for punishment you can lift and pour the hot wort if you want, but a better way to do it is to siphon the wort from the pot to the fermenter. 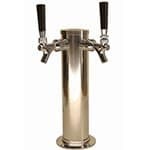 Fermenter – Holds the wort while it ferments. Airlock – Inserted into the top of the fermenter, the airlock allows carbon dioxide to escape while preventing contaminants from getting in. Without the airlock pressure inside the fermenter would build until it explodes. Hydrometer – Not essential but handy to monitor while fermenting and keep an eye on things such as alcohol content. Once the process is complete, you’ll need a cleaner and sanitizer to bring everything back to a pristine state where it’s ready to go again. 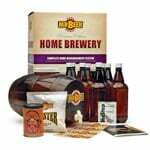 Now it’s time to see what kind of magic we can glean from our cream ale all grain recipe. Mash the grains at 122 Fahrenheit for 20 min. Increase the temperature to 134 Fahrenheit for an additional 20 min. Then ramp it up to 154 Fahrenheit for 60 min. Add 3 ounces Liberty hops at approx 60 min. Increase heat one more time to 168 Fahrenheit for a final 20 minutes. Remove from heat, add remaining ounce of Liberty hops and allow to cool. Force carbonate to 2.1 volumes of CO2. Our cream ale homebrew will be around four percent alcohol. We recommend a week of primary fermentation and 10 to 14 days in secondary. 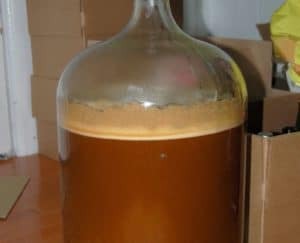 Because this type of good beer has lighter flavor characteristics it typically matures sooner than others since there’s no bitterness from the alcohol and it doesn’t need to mellow out. Mostly all you’re waiting for is it to clear to match your particular taste. Once that has been achieved go ahead and bottle or keg it. 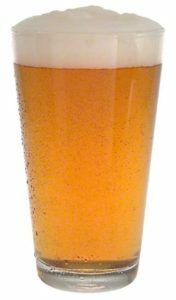 One of the many great things about cream ale is that there are a number of different beer recipes and they’re all fairly simple and straightforward. 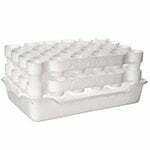 Because of this, they’re often considered a pretty safe way to get into brewing larger batches for those who are still getting their sea legs under them. Cream ale recipes also lend themselves to tweaking. 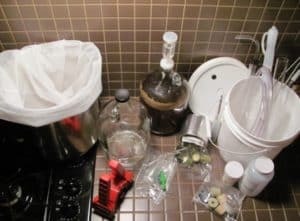 So without too much effort or expertise in homebrewing, you can produce cream ale all on your own, even if you’re a relative newcomer as long as you follow our American cream ale recipe. 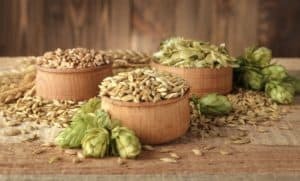 The all-grain recipe we featured above will provide many of the light, effervescent characteristics of your favorite lager and should wind up being extraordinarily thirst-quenching. This cream ale beer will keep a long time if you store it somewhere consistently cold and will be there ready for you to draw on throughout the holidays.